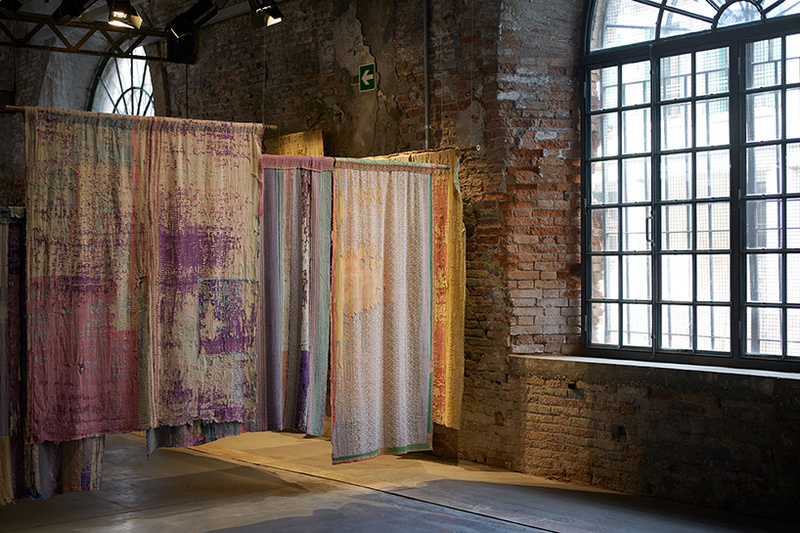 at the 2018 venice architecture biennale, german architect anna heringer has created an installation that brings attention to the plight of female textile workers in bangladesh. 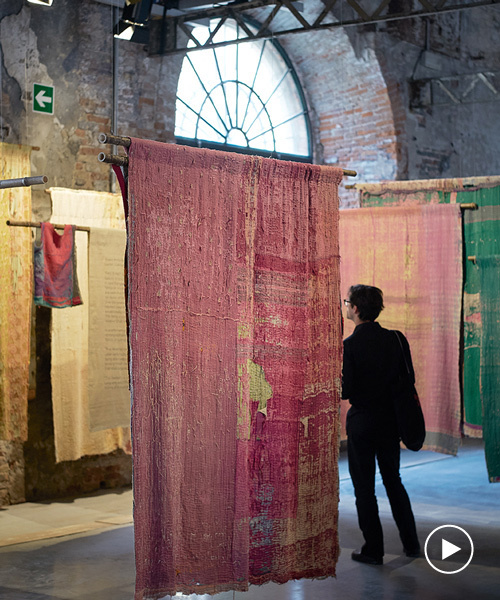 titled ‘this is not a shirt’, the exhibition comprises a series of fabric pieces, made in the south asian country and hung from bamboo poles in venice’s historic arsenale. heringer, who has worked extensively in bangladesh, has developed a concept that allows the country’s women to earn a living in their villages instead of working under inhumane conditions in a big factory. however, a lack of jobs means that people are forced to leave these communities in order to find work. 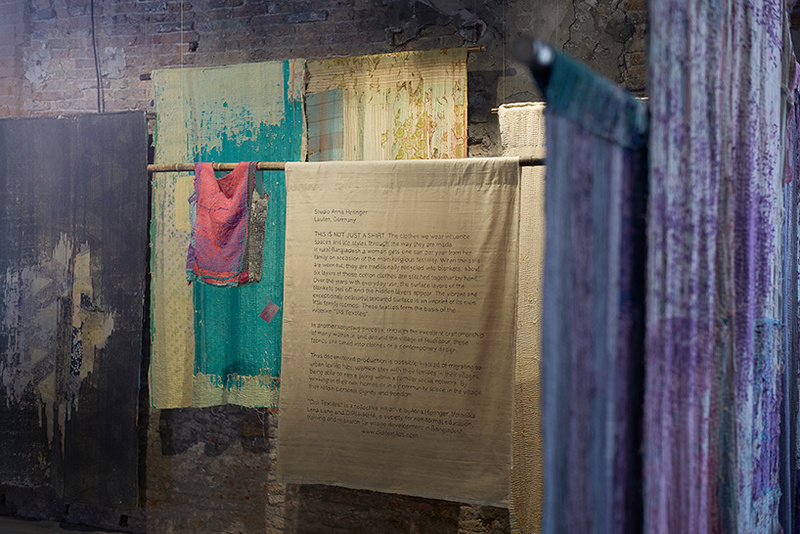 while working in large urban textile production hubs, women leave their villages to stay in rented rooms. ‘women don’t feel safe in public areas,’ heringer continues. 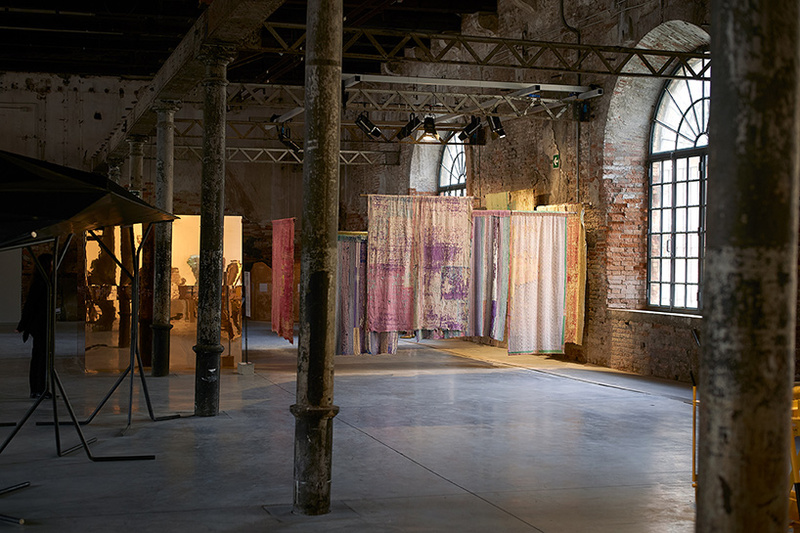 ‘in many cases the only freespace is that same rented room with a TV; they share it with others by occupying it in shifts.’ in light of these conditions, the architect has launched ‘didi textiles’ — an initiative currently seeking funding on wemakeit. 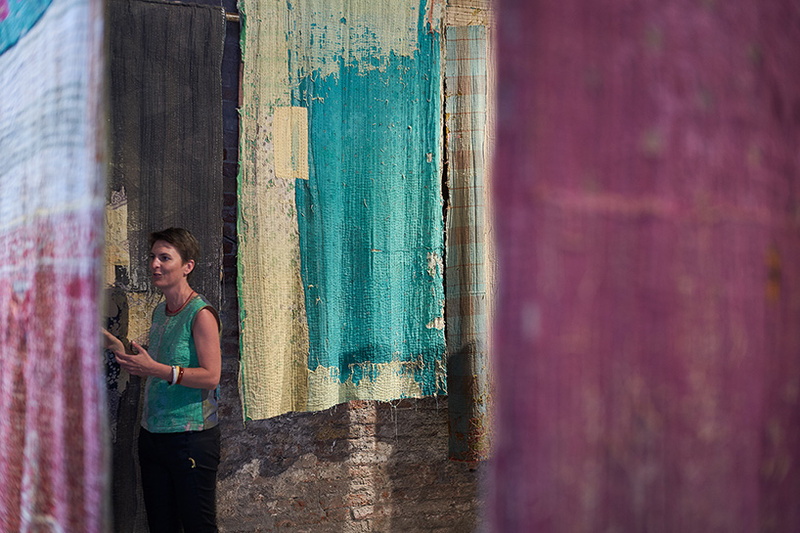 designed for decentralized production in the village, where the quality of life and space is both humane and free, ‘didi textiles’ avoids the pressure caused by the demand for mass-produced clothes. 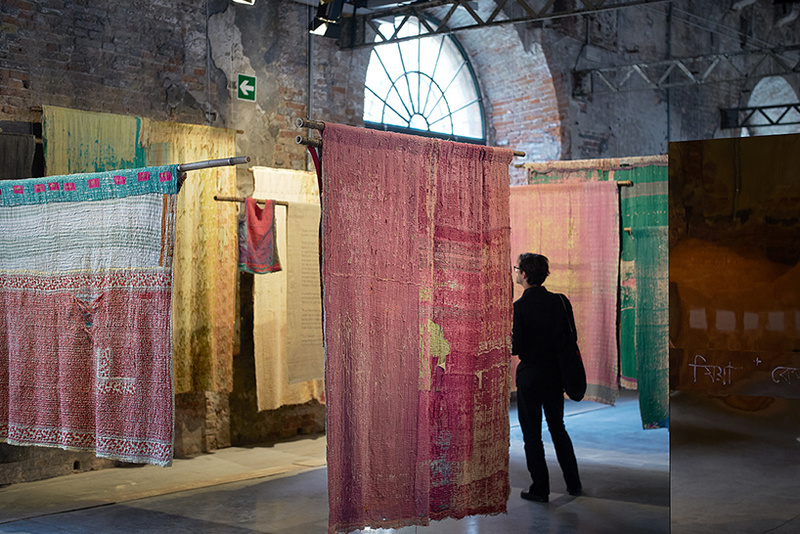 the unique garments begin their life as cotton saris, which, after being worn out, are stitched together with other saris to create blankets. 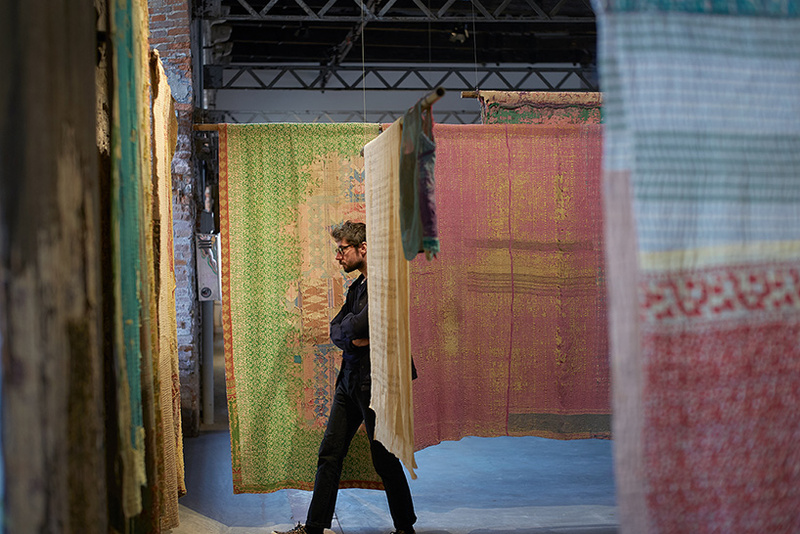 over the years, the surface layers of these blankets peel off to reveal the hidden layers beneath. through the craftsmanship of many women around the villages of rudrapur and birgonj, these fabrics are in turn transformed into contemporary garments. 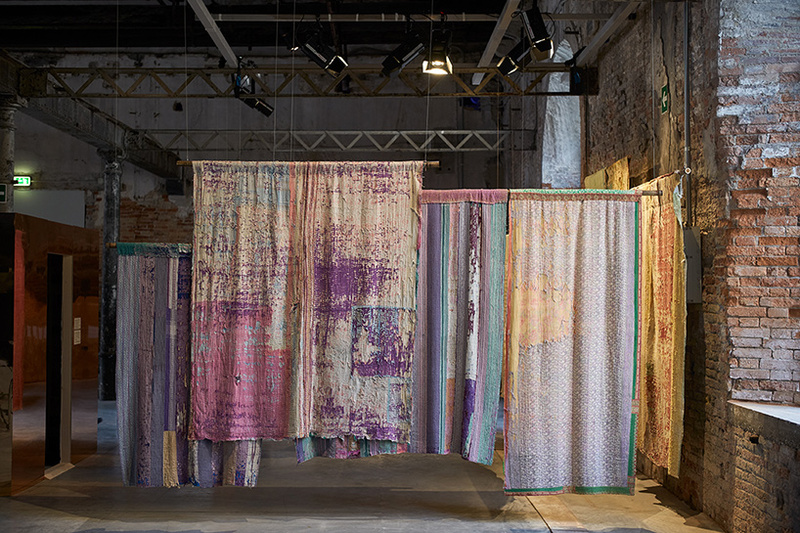 ‘through the selling of didi textiles people will start valuing their own culture even more and continue the extraordinary textile culture in bangladesh,’ explains the team behind the imitative. ‘normally the global north is producing its t-shirts in the global south. once worn out the clothes are sent back, often with the result of destroying local cultures and markets. 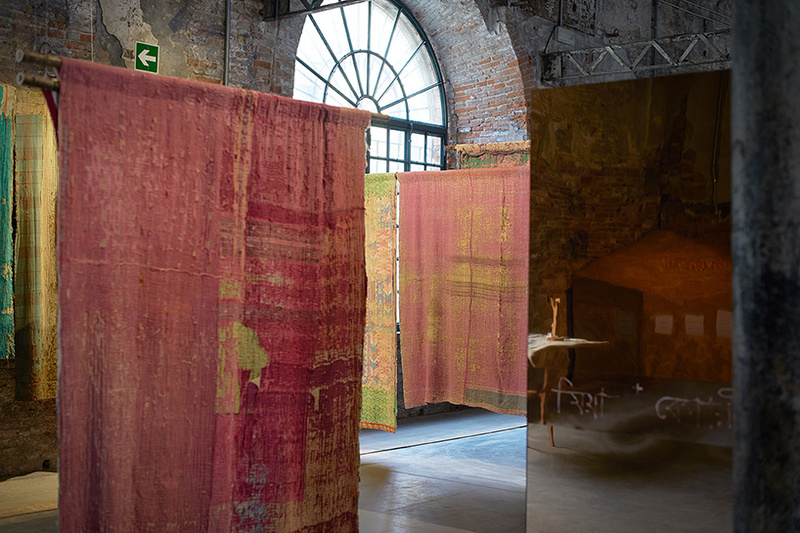 with didi textiles the worn-out clothes are sent in a high quality from the global south to the north leaving us with the question how to value our everyday culture.’ find out more about didi textiles here.